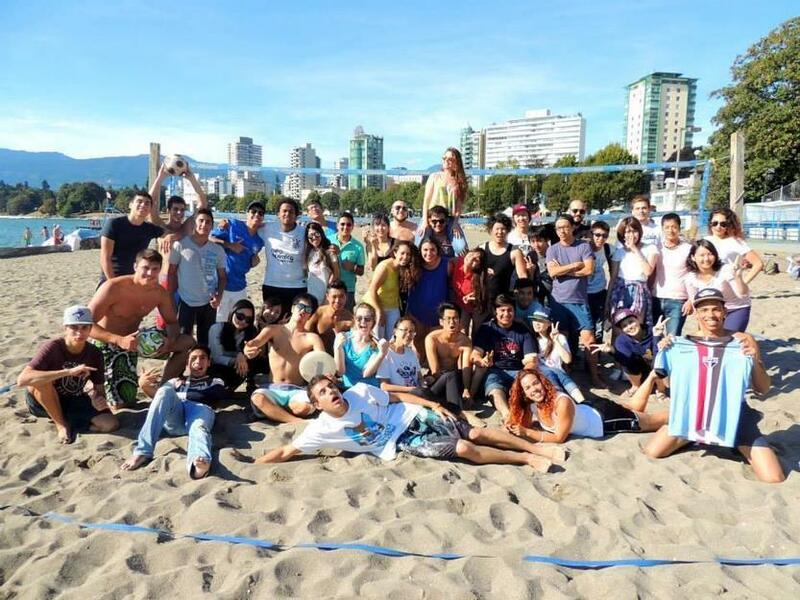 With campuses in Toronto and Vancouver, Surrey and Victoria, SSLC is truly a nationwide education provider. Excellent service and quality programs are our top priorities. We offer a one of a kind experience to our much valued students. SSLC 's dedication and superior counseling services offer students the support needed to achieve their academic goals. - take as little as 1 week or a full year! Our Sister college Sprott Shaw College, provides a unique advantage to our students wishing to continue their education in advanced training. General English is a program designed for anyone interested in learning the English language. Available to students of any level, this well rounded course will open doors to a brighter future through a high quality ESL education. SEC offers ESL programs for 10, 15, 20, 15 and 30 hours per week. We offer flexible durations and start dates. Takes as little as 1 week or a full year at SEC! ESL students can start on any Monday of the year! SEC is an Official Cambridge Testing Center! This popular program is for students who are looking for practical English language skills for the work force. Through direct ties to many of Canada’s top businesses, SEC is well aware of the skill set needed for a successful career. Customer Service Protocol is designed to prepare students with the English skills needed to succeed in the local job market. After completing the course, students will be equipped with skills needed to start a successful and enjoyable career in the customer service field! Studying abroad is an exciting experience. For students who wish to continue their studies at a Canadian college or university, the EAP program will ready them for their life on campus. Upon completion of the program, students are qualified for entering SEC’s partner institutes without submitted IELTS or TOEFL score! EAP is 12 weeks long. SEC is a proud partner of more than 20 colleges and universities in North America. Looking for a fun and engaging English program for the summer? Join SEC for a program that combines ESL training with historical and cultural exploration of the preferred city. Spend 2-4 weeks exploring Toronto's or Vancouver's most popular attractions, areas and trips with a group overseen by a native English speaking SEC Camp Leader. We want to help you realize your teaching goals and dreams of travel. Teach English abroad with your new found knowledge and expertise. We strive to give our students everything they need to succeed in their teaching careers and aim to land our students teaching abroad jobs. The teacher trainers are experienced professionals who will help you to become a confident teacher in teaching English. This program is recognized by TESL Canada. I had great times in SEC! I meet many different country friends. And my English skills upgrade here. For example, they help me with homework, conversation, and some activities. I hope many students to come and enjoy SEC! I've been studying in SEC for 5 months and now I'm taking Cambridge CAE class. I really like this school cuz every teacher here is so awesome! They're professional and answer questions very kindly. My favorite thing here is a counselor from each country. There is a Korean counselor who plans my courses, so I feel really comfortable! In terms of classes, they're really fun and helpful! Therefore, I highly recommend this school to everyone who comes to Vancouver to study English! I just have to say thank you!!! In order to meet new cultures, to relate to people from different countries, to become more independent, gain experience and be able to practice my english, I did an exchange of two months with the SEC. In the first days of stay , I got a lot of security in personal and social part , because the school and my homestay, provided by the same, welcomed me very well and were always willing to help , making me feel at home. In addition to learning from great teachers, I had so much fun learning/connecting cultures and making new friends around the world who also studied with the SEC. All this was possible to do in the school because the school area, support / service and the method are very good. The extra activities around the city that the school provided were always very organized and easily accessible as well, because the school's location is great for everything. I just have to thank immensely to Fatima (Brazilian counselor ) , the Victor , and all the "SEC team" who had a great role to fulfill a dream , make it possible my ambitions described at the beginning and make the best experience of my life!